Gulliver is a sofa bed suitable even for everyday use. Choose your cover and color. Add the item to your cart. Do you need some help? Do not hesitate to talk to us. We are please to assist you in answering all your questions. 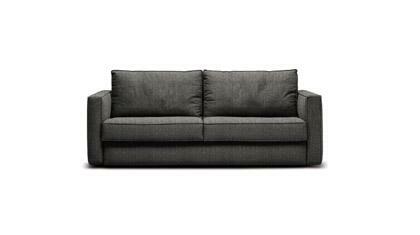 Gulliver is an elegant sofa bed suitable for everyday use. 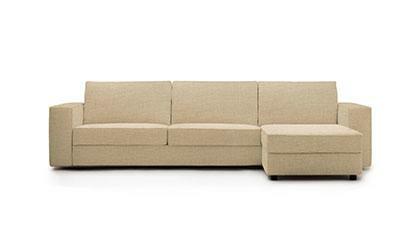 Deep seat and thin armrests embraces your back and shoulders as a real sofa, they guarantee a high comfort thanks to the backrest padded with goose feathers and the seats cushions padded with polyurethane foam with different densities. Gulliver is suitable for every kind of location and, thanks to a frontal opening mechanism, it turns easily into a bed without removing the cushions. It is equipped with wooden slat bedstead and elastic belts per seat. Gulliver is 100% handmade by BertO Fine Upholstery Laboratory in Meda, in the Brianza. Choose the dimensions and cover in the color of your choice and add the Gulliver sofa bed to your cart. If you need some help or special sizes, please contact us. We will assist you in answering your questions. Each product is made to order and requires approximately 3 weeks production + an additional 1 to 2 weeks for delivery. One of our representatives will contact you by mail or phone 24 to 48 hours before the delivery date. Are you in a hurry to receive your merchandise? If so, contact us immediately, we will take charge of your request and will answer all of your questions.